The murderer of six worshippers at a Sikh temple in Wisconsin last week was a US army vet who was in a racist white supremacist band. 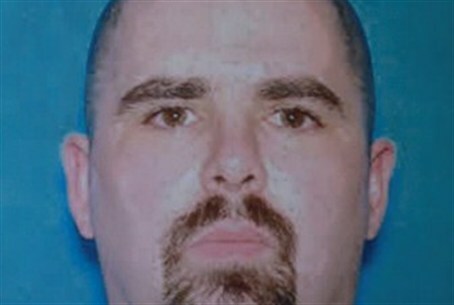 Police killed the murderer, Wade Michael Page, 40, at the temple in a suburb of Milwaukee where he carried out what authorities said was an act of “domestic terrorism." Page served in the army as a psychological operations specialist and missile repairman from 1992 to 1998, when he was discharged for "patterns of misconduct," according to military sources quoted by Reuters. According to the Southern Poverty Law Center (SPLC), which tracks hate groups, Page was a member of two racist bands named End Apathy and Definite Hate, "a band whose album 'Violent Victory' featured a gruesome drawing of a disembodied white arm punching a black man in the face,” Reuters reported. A MySpace page for a band that appears to be one of those identified by the SPLC, End Apathy, includes songs with titles such as "Self Destruct," "Submission" and "Insignificant," as well as pictures of three heavily tattooed band members. "The music is a sad commentary on our sick society and the problems that prevent true progress," the band's profile says. Band T-shirts advertized on the page include one with the Roman numeral 14 -- a number the SPLC said was a reference to the 14-word white supremacist slogan "We must secure the existence of our people and a future for white children." A YouTube video posted in 2009 of a song by Definite Hate, which appears to have been another Page band, shows a scroll of the lyrics that includes: "Wake Up, White man, For Your Race, And your land," and "Wake Up People Or Your Gonna Die!" The SPLC pointed to a 2010 interview with white supremacist website Label 56 in which Page said he had played in various bands since 2000, when he left his native Colorado on a motorcycle. FBI special agent Teresa Carlson said authorities were interviewing Page's family and associates searching for a motive behind the shooting that killed six people and seriously wounded three, including a police officer. A fourth person was wounded less seriously. The dead were five men and one woman, aged between 39 and 84, including the president of the congregation and a priest. American Sikhs around the country added security to temples, with some saying they have been singled out for harassment since the Sept. 11, 2001, terrorist attacks because they are mistaken as Muslims due to their colorful turbans and beards. The shooting came just over two weeks after a gunman killed 12 people at a theater in Aurora, Colorado, where they were watching a screening of the new Batman movie.